Modification into a two-family house for affordable housing. Renovation of the building shell in line with current building practice. Complete renewal of building services. 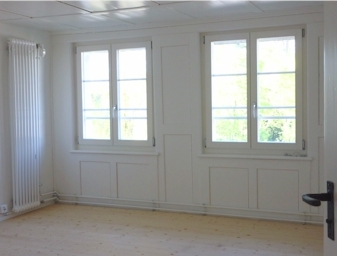 Building costs (“BKP 2”): CHF 780,000. 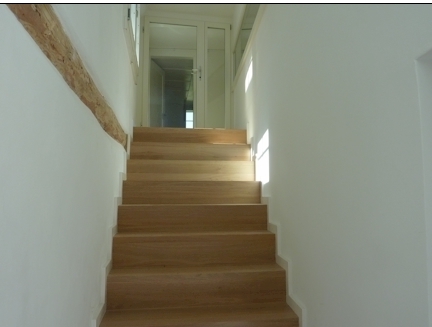 A new stairway creates a private entrance to the upstairs apartment. Renovation of the historic wooden panelling. New fir strip flooring on noise insulation underlay. 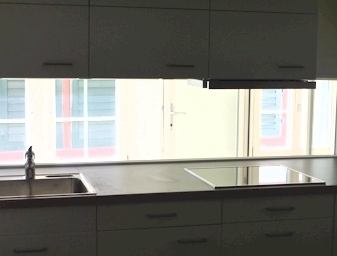 New internal kitchen with view of the stairs area.